Bill and Kathy Magee’s 8-year-old grandson serves homemade grilled cheese sandwiches on the outdoor flagstone patio of the couple’s century-old Algonquin home. The three indulge in the warm familiarity of the beloved childhood delicacy while overlooking the backyard, complete with a miniature putting green, fire pit, tree swings and a dock that extends into the nearby waters of the Lafayette River. 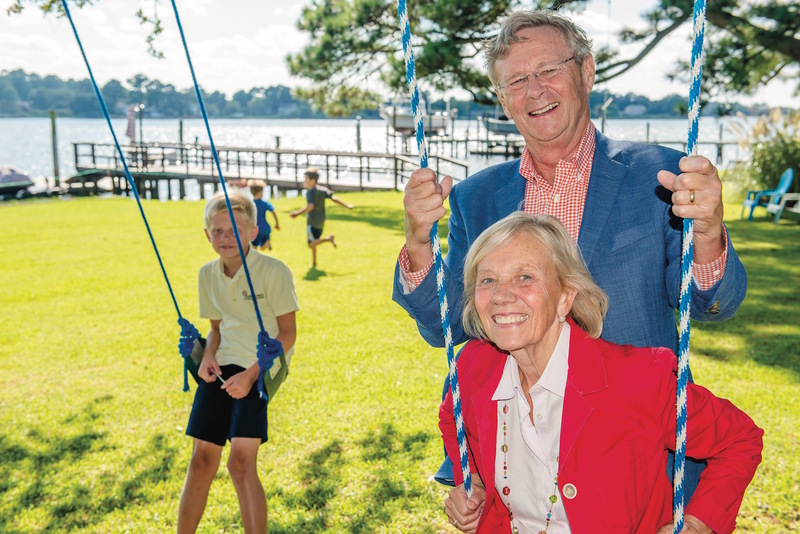 Thirty-five years ago, this very same lawn hosted nearly 1,000 people from all over the Coastal Virginia community to fundraise for what would later become the largest, volunteer-based medical charity in the world: Operation Smile. Just four years after moving themselves and their five children to Norfolk in 1978, William P. Magee, D.D.S, M.D. and Kathleen S. Magee, B.S.N., M.Ed., M.S.W. co-founded Operation Smile respectively as CEO and president after having traveled to Naga City in the Philippines and being exposed to the immense need for pediatric reconstructive surgeries in third-world countries. Operation Smile now has a presence in 60 countries and is responsible for the success of thousands of corrective surgeries for children suffering from cleft palate and cleft lip. 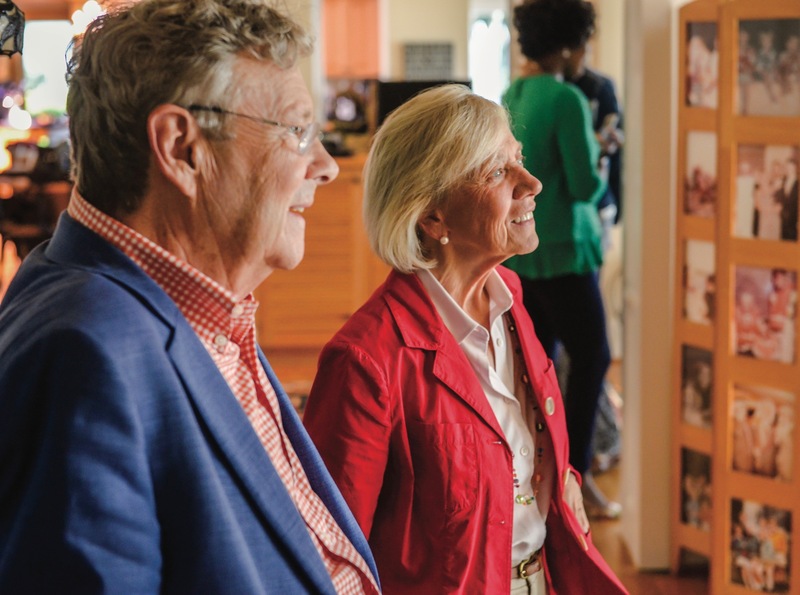 As Bill and Kathy reminisce about the tremendous amount of people that once filled their backyard all those years ago, they realize that the fundraiser hadn’t been about money at all but establishing a community based on love, trust and a fierce passion for improving the lives of our world’s children. For the Magees, family is paramount. The afternoon sun beams through the floor-to-ceiling windows that line the back of their home, an upgrade the couple made shortly after moving in, and illuminates the seemingly endless photo collages that adorn every wall in the foyer, sitting rooms and hallways. From old family photos, senior portraits and shots of a family bike trip through the South of France to memorabilia from Operation Smile’s landmark World Journey of Hope mission in 1999, the extraordinary life of the Magees is truly written on these walls. Bill and Kathy note that their home has always been, and continues to be, the gathering place for friends and family. They remember their kids spending hours out on the river with their friends, crabbing, waterskiing or engineering motorized rafts. “The water very much became a part of our every day,” Kathleen says fondly. After spending nearly every summer by a lake in New Jersey with his 11 siblings, Bill was thrilled to see his children share in his love for the water. The water’s allure not only occupied the fleeting attention of their children but for years has attracted a plethora of visitors from oceans away. As Operation Smile’s reach expanded, surgeons began to witness a greater number of children suffering from severe and sometimes life-threatening facial deformities. 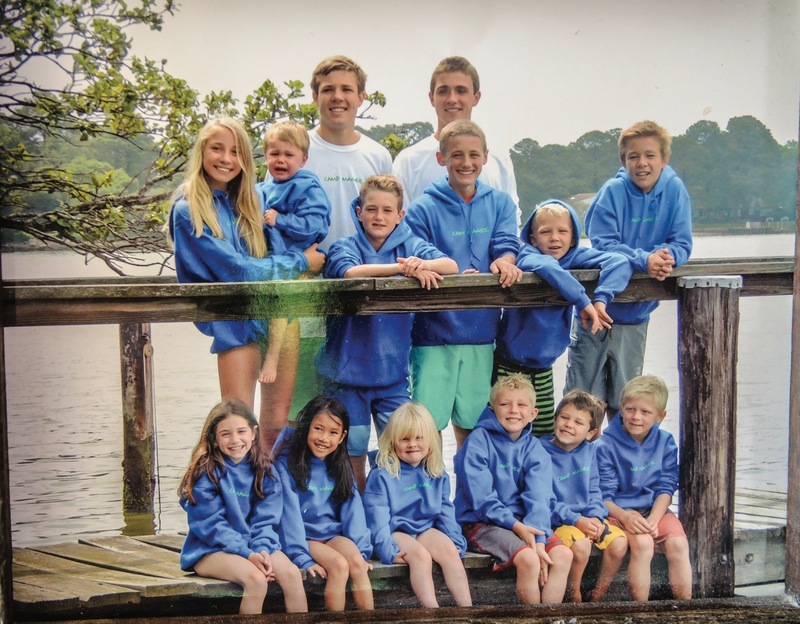 With a passion for people and a steadfast belief in the power of medicine, Bill and Kathy welcomed these children, crippled by infections, tumors and malformations, into their home with open arms. For weeks at a time, the Magees would house patients and their families while they underwent surgery and the slow process of recovery. “We as parents know how those parents feel. They’re desperate for our help,” Kathy says. As angst and tension built around Bill’s proposal, so did the need for money. Refusing to let Operation Smile’s lack of capital stand in the way of improving the lives of 5,000 children, Bill trudged forward and ultimately received the remaining 7 million dollars needed to fund the World Journey of Hope just two weeks prior to the presentation of the proposal to the Board of Directors. Bill and Kathy’s risk paid off. The World Journey of Hope surpassed its treatment goal, successfully operating on 5,300 children, and established 40 in-country recovery sites for long-term patients. “That was our theory of what would happen, but we couldn’t prove it,” explains Bill. When asked to share her proudest moment with Operation Smile, the image of a starving, 7-day old Vietnamese baby with a severe palate and cleft up to her eye immediately arises in Kathy’s mind. Hours before the Operation Smile team was to wrap up their mission in Vietnam, a hysterical mother pulled on Kathy’s arm, begging her to save her child. The baby’s deformity was so extreme that the child could not eat and was sure to die from starvation. With limited time and resources, Bill suggested placing an operator, a plastic dental appliance that allows a child to eat, into the baby’s mouth. “That was the last thing we did before we left the mission’s site,” Kathy remembers. Returning to the sunny afternoon spent on their outdoor patio, Bill and Kathy share their excitement about their upcoming 50 wedding anniversary and plans for the future. Bill recently retired from his 38-year career with the Plastic Surgery Practice in Norfolk, describing it as one of the most difficult decisions he has ever made in his life. The sadness of bidding farewell to fellow surgeons and long-term patients was quickly replaced by his and Kathy’s eagerness to spend more time as a family. The Magee family recently wrapped up their fifth consecutive year of Camp Magee, a weeklong family summer camp that encourages teamwork and leadership. “We just barrel through one thing after the next all day for an entire week. I ask the moms to stay back because they have too many rules for me,” Kathy jokes. Kathy explains that the oldest grandchildren run the camp and are responsible for the distribution of camp awards. “Everyone gets awards for different things,” she says. “Leadership, teamwork and then there’s Camper of the Year, and that’s just unbelievable.” With their three sons, two daughters and 14 grandchildren living all over the United States, Camp Magee is a great way to bring their family home again. Operation Smile will host its 35th anniversary gala on Friday, Nov. 17 at Hilton Norfolk The Main. The organization is thrilled to celebrate 35 years of helping children around the world with the support of the Virginia community where Operation Smile makes its home. Further information regarding the event and ticket prices can be found at OperationSmile.org/35thAnniversary.